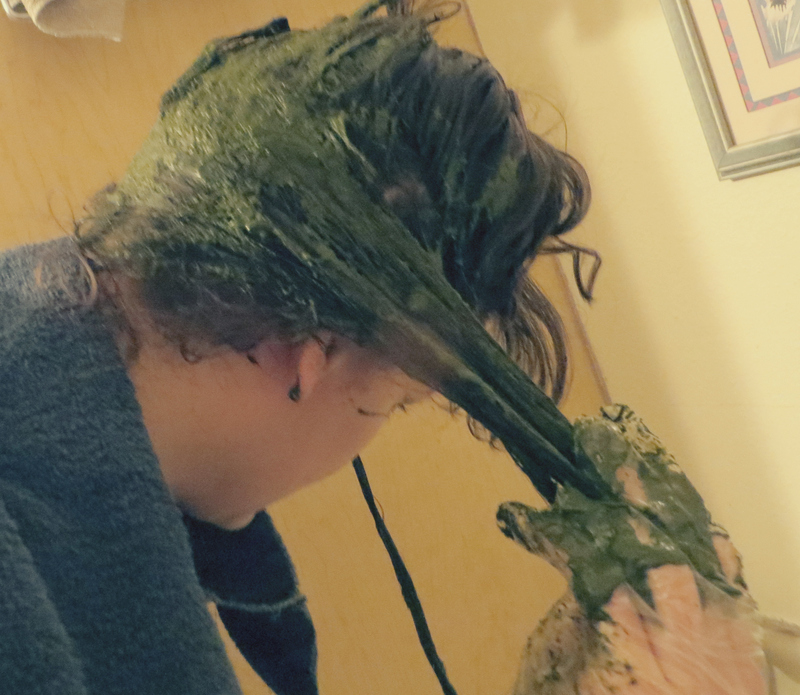 When I first heard about using a henna mix on my hair, I thought it sounded pretty weird. However, after finally getting brave enough to try in December of 2012, I’m a huge fan. I’ve gotten my mom, sisters, and grandmother all on the henna bandwagon! 🙂 Henna treatments do amazing wonders to add luster, shine, and moisture to hair. I don’t use pure henna on my hair, but a mix of henna, indigo, and other herbs. Rainbow Research has a large variety of many colors. I’ve tried different shades of brown (my hair is naturally brown with some red highlights) and some red henna mixes. The mix brings out the natural highlights of my hair instead of dying it red like pure henna would. Henna can help clear up dandruff, improve the dryness of the hair and scalp, and give a natural shine to your hair. It can also help with annoying hair problems such as lice. If you’re interested in a natural alternative to commercial dye, Rainbow Research Henna mix can improve hair color and help cover up gray. The henna and herbs in the mix enrich the hair, improving texture and enhancing hair body. It also helps hair from getting split ends as quickly and improves the over-all health of the hair and scalp. During the summer, when my hair can tend to get bleached out by the sun, henna will restore it’s luster and shine. My hair can tend to get drab looking; what I love about Rainbow Research henna is that it adds a lovely brilliance to my hair without giving it a “dyed” look. The red “sherry” Henna mix by Rainbow Research is the most red I’ve used, and it only gave me red highlights, without making it too red. 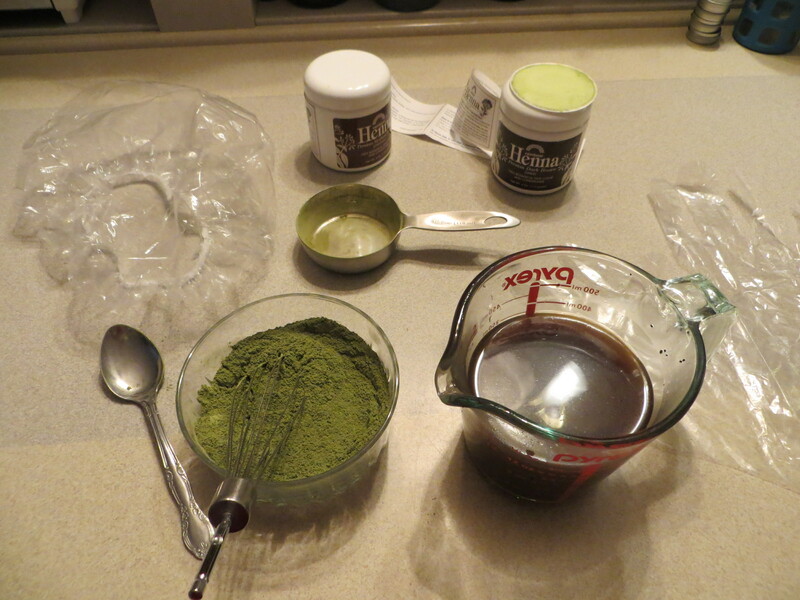 I apply henna approximately every 2-4 months, depending on how bleached or frayed my hair is. If you have a good mirror and a clear way to see in the back, then applying henna yourself is possible. However, it’s easier, much, much easier, if you have someone help you. My mom and I help each other with our henna treatments. 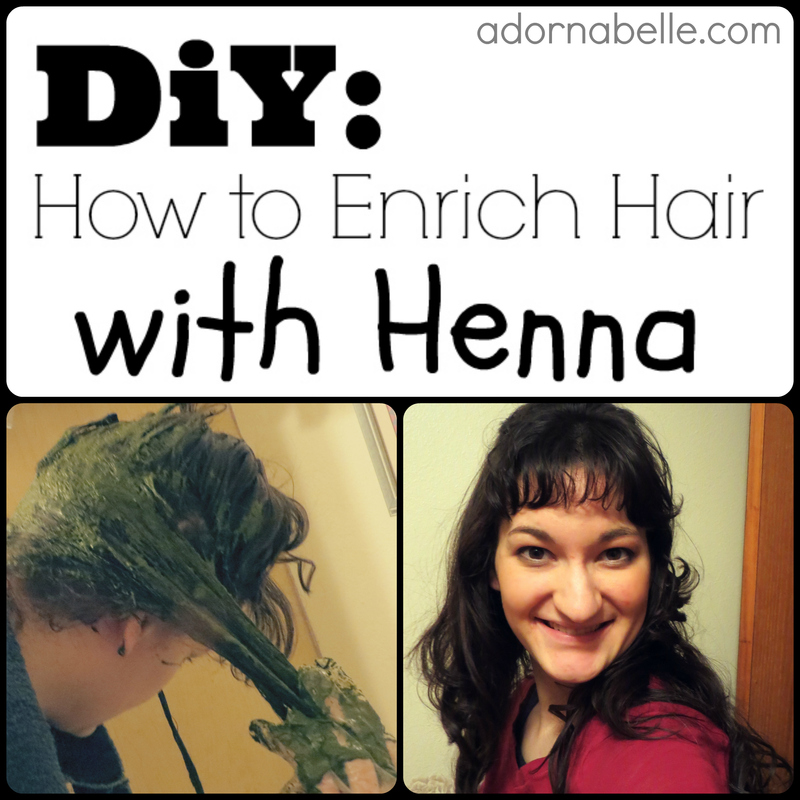 In this tutorial, my mom and I are applying henna on my long, thin, naturally curly hair. You’ll need rubber gloves (you see flimsy plastic gloves in the picture above, and they don’t work very well at all. They fall off. ), plastic wrap or a shower cap, a towel or cape to cover your clothes, hot liquid such as coffee or black tea (if using red henna mix, you can use hibiscus or red rooibos tea), henna mix, a whisk, and a medium glass bowl. 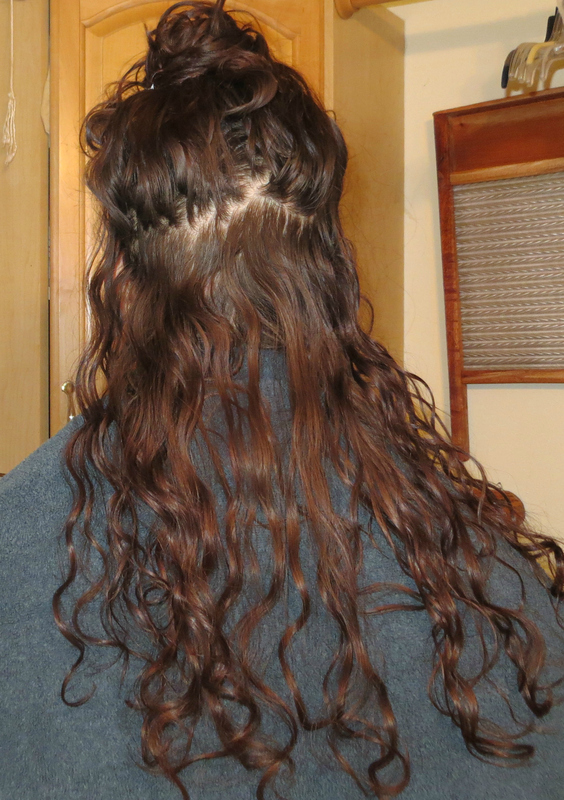 For my long, thin hair I used 1 1/2 cups of henna mix. I used 2 cups of hot coffee and slowly whisked it into the henna mixture. (If you are covering grey hair, you might want to add 1/8-1/4 cup apple cider vinegar or lemon juice as an acid medium. It helps cover the grey better.) The mixture should be the consistency of beaten eggs and just about as thick (if applying it yourself, you may want it slightly thicker). Section off top of hair from bottom of hair. 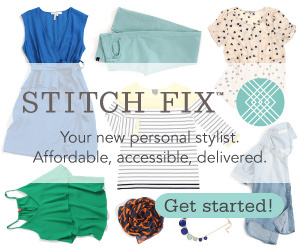 Ideally, you would separate these sections in to at least 4 different sections, to make application easier. 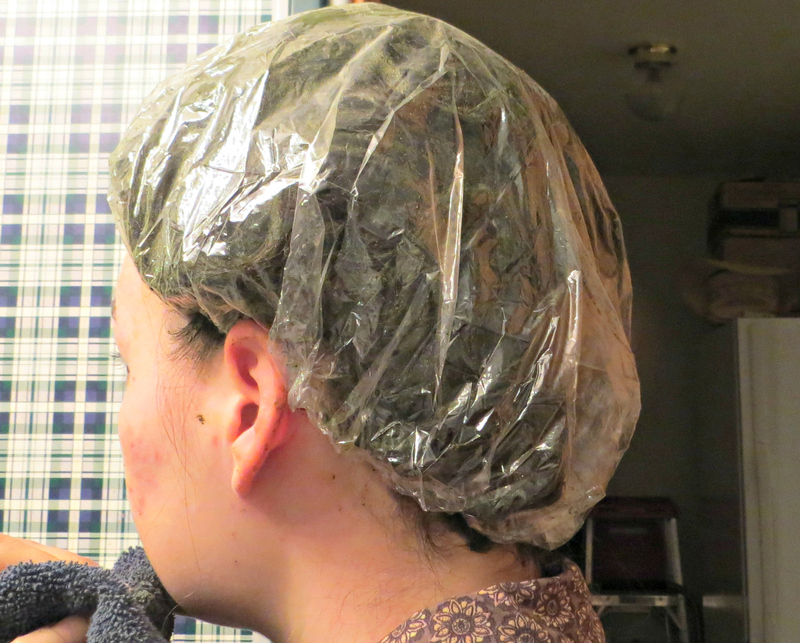 After your hair is well coated with the henna mixture, cover with plastic wrap or just put a shower cap on. Shower caps are easiest, and I wash mine out and reuse my henna shower cap over and over again. Wrap this with a large towel. It’s almost impossible to get henna out without using some sort of soap cleanser. 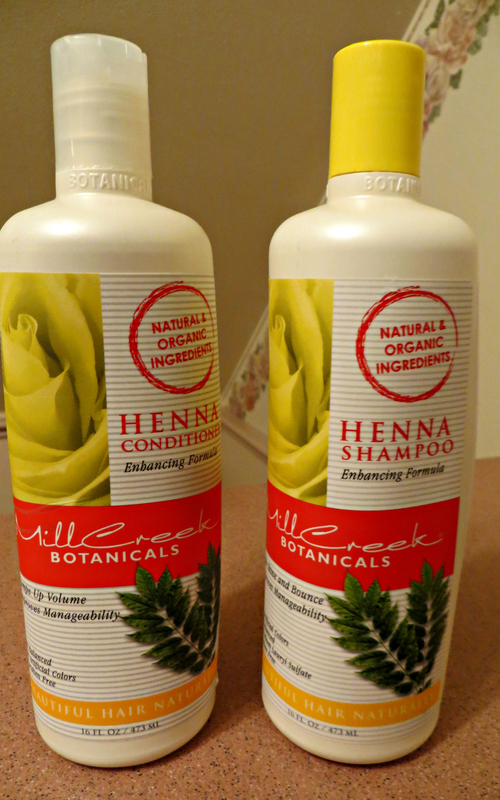 I use Mill Creek shampoo and conditioner, both have a small portion of henna in it to enrich henna-dyed hair! 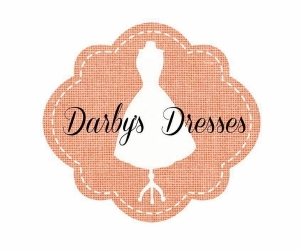 Rainbow Research has graciously agreed to do a giveaway of some of their wonderful products! They’ve offered to give away 1 – Dark Brown Henna Mix, 1 – bottle of their natural henna shampoo, and 1 – bottle of their conditioner. Enter the Rafflecopter giveaway below for a chance to win! 🙂 US addresses only. i never experimenting with Henna, but it’s on my wishlist; I’m definitely gonna try this. I’ve not used this brand, but I’d go for Persian red… and I like to add some spices (cinnamon, nutmeg, etc) to the glop. I would love to try the Medium Brown to add that gloss/shine to my hair. I do this!, then I got pure henna from the Indian store and used it, thinking that it would do the same thing! I have red hair now! And that is how a person can accidentally dye her hair… But I love it! 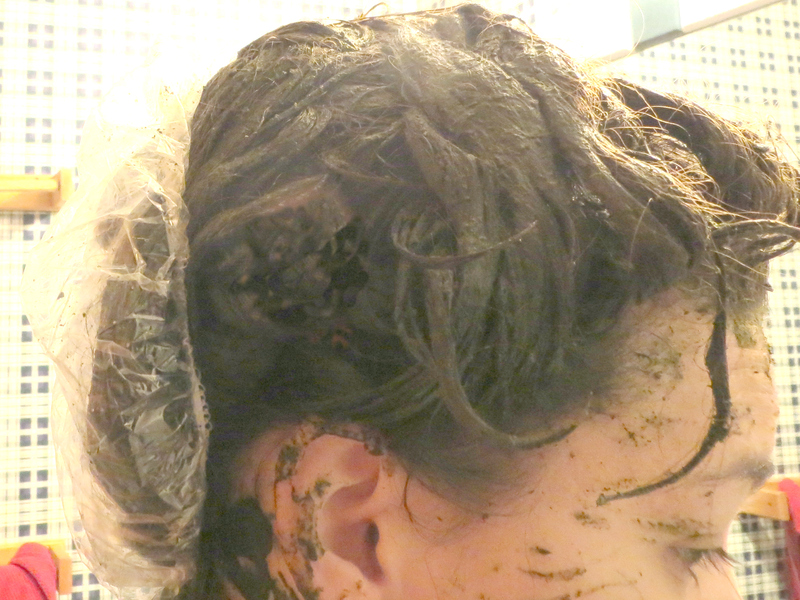 in experimenting with Henna I have found that it really has helped with enriching my hair as well.